Henry Holt and Co., 9780805073966, 368pp. 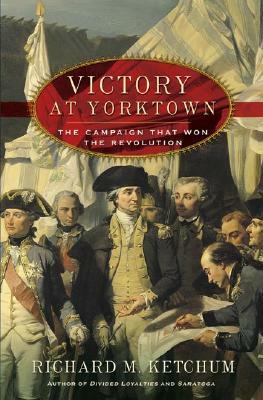 Richard M. Ketchum is the author of the Revolutionary War classics "Decisive Day: The Battle of Bunker Hill"; T"he Winter Soldiers: The Battles for Trenton and Princeton"; the award-winning "New York Times" Notable Book" Saratoga: Turning Point of America's Revolutionary War"; and, most recently, "Divided Loyalties: How the American Revolution Came to New York." He lives in Vermont.